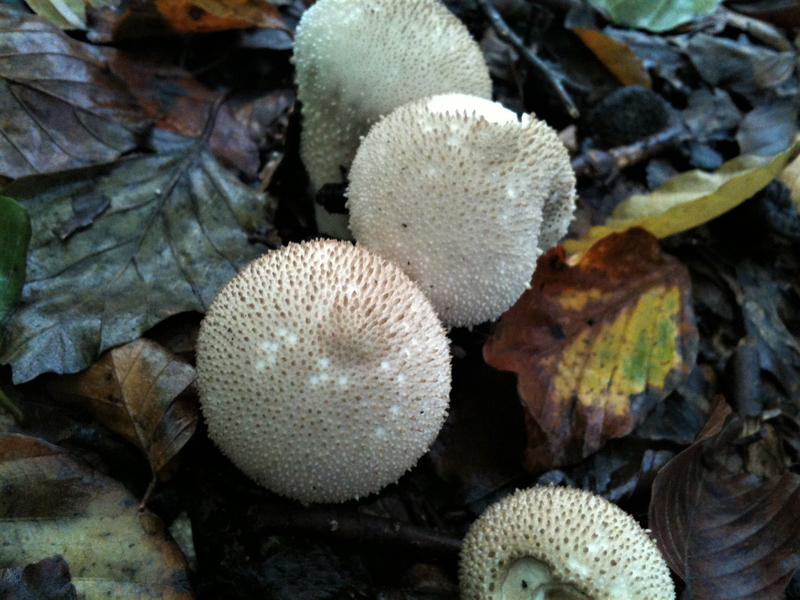 A really common mushroom that doesn’t stand out on its own flavour wise, but can be used in dishes with other mushrooms. 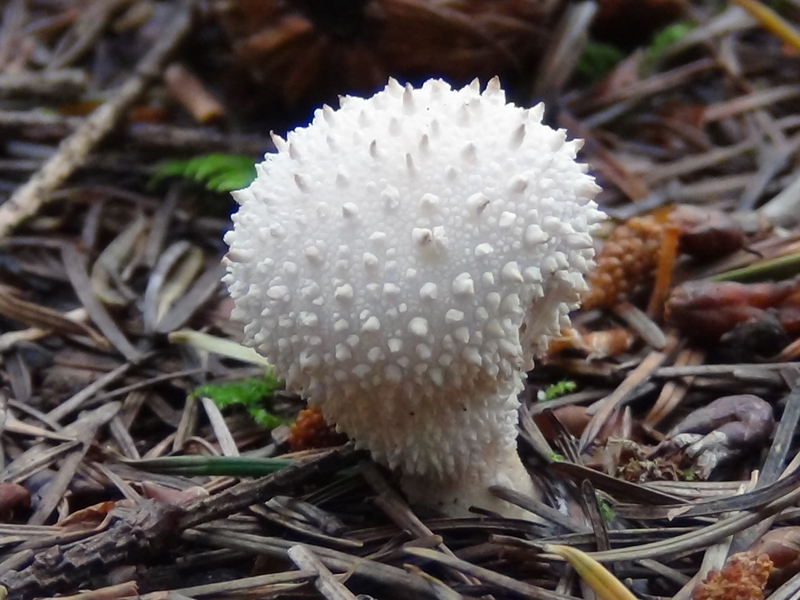 Starting spherical becoming slightly flattened or club-shaped. 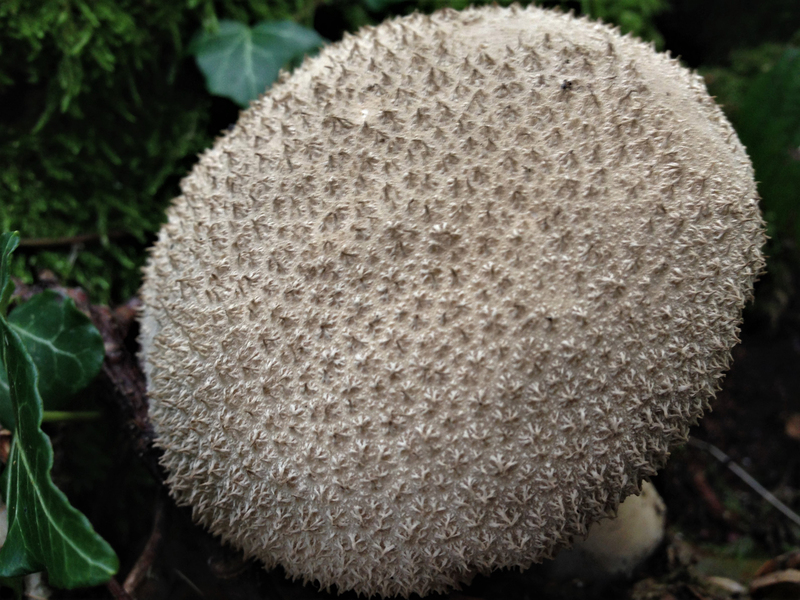 White turning cream to brown with small pyramid shaped warts, which when rubbed off leave a net-like pattern. 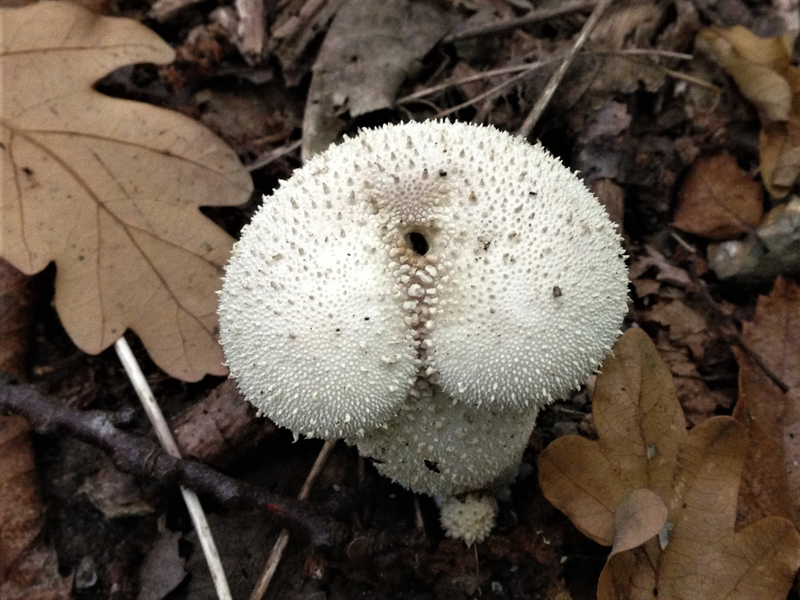 Darker umbo-like top which opens to release the spores. 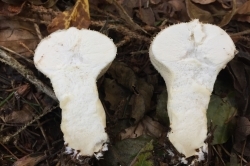 Has a white stem-like growth under the main fruiting body which is tapered or club-like and covered in small pyramid-like warts. 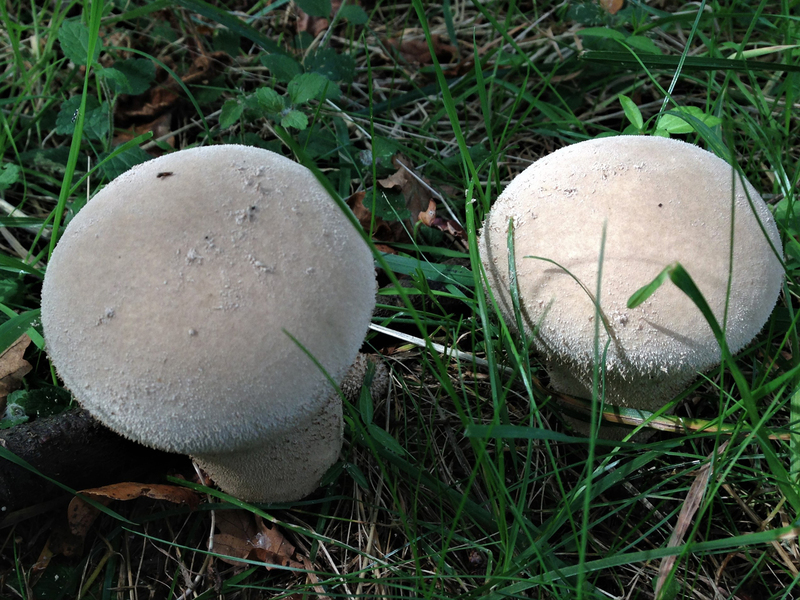 White becoming brown and powdery as the spores form. 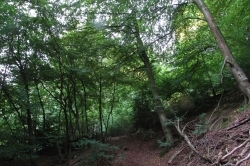 Mixed woodland, pasture, commons and heaths. 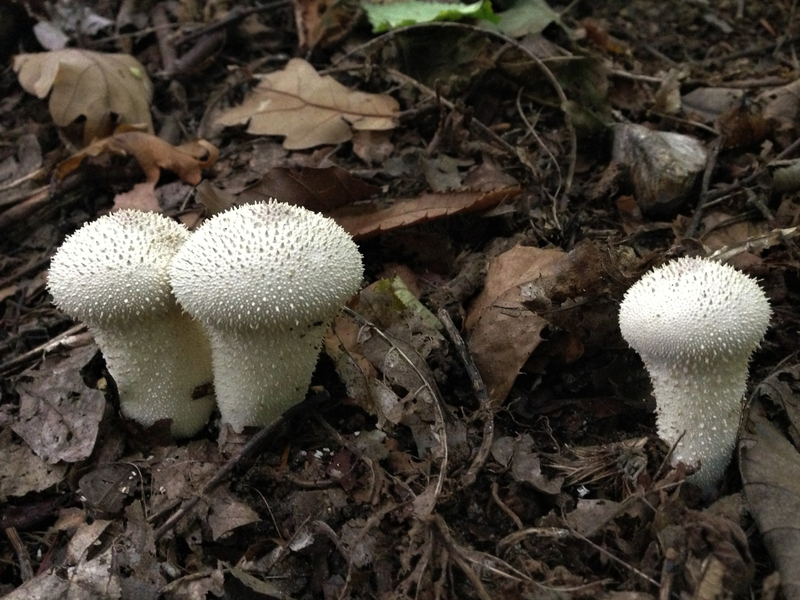 Can grow individually but usually in groups with the chance of finding more nearby. 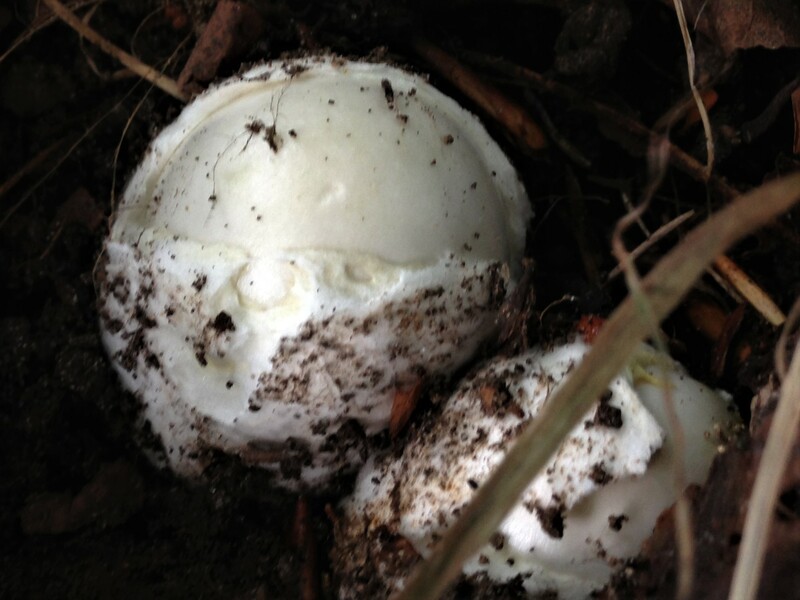 Can be confused with very young Amanitas, pictured are Death Cap ‘eggs’, so the mushrooms should be sliced vertically, the stem and cap of the Amanita will be obvious within an Amanita egg, a puffball should be pure white and spongy inside. 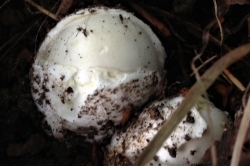 Some of the Scleroderma but the tough skin and flesh and dark interior of the Earthballs should help avoid confusion. 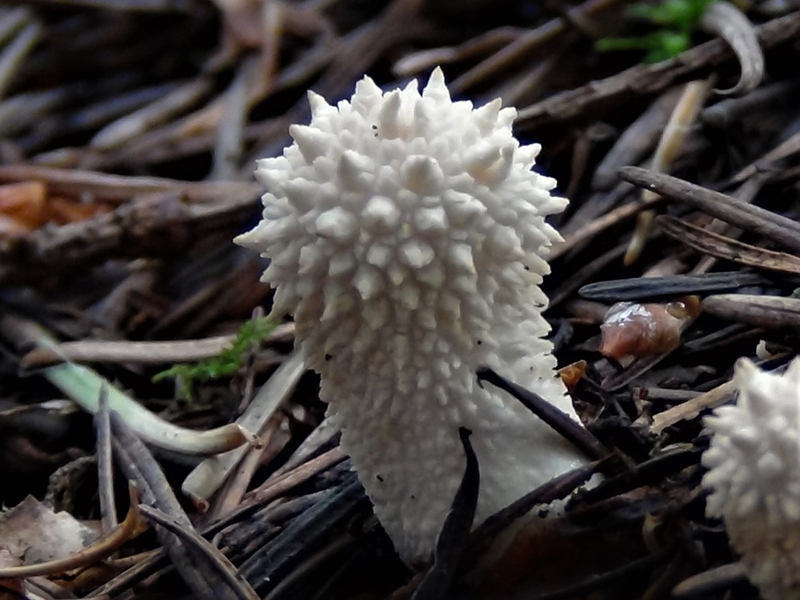 The Stinkhorn, Phallus impudicus, starts as a Puffball like ‘egg’ but has jelly and a small mushroom inside. 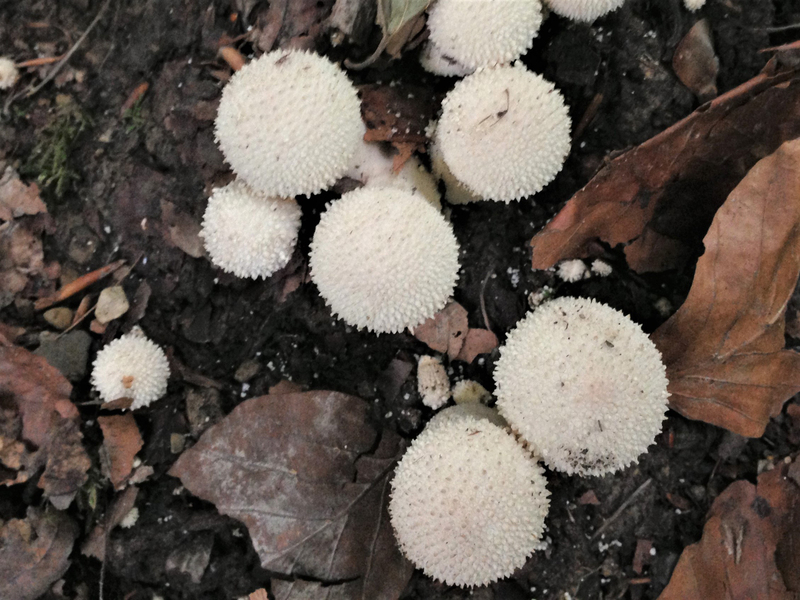 Other Puffballs but as long as they are white and spongy throughout they will not be harmful. 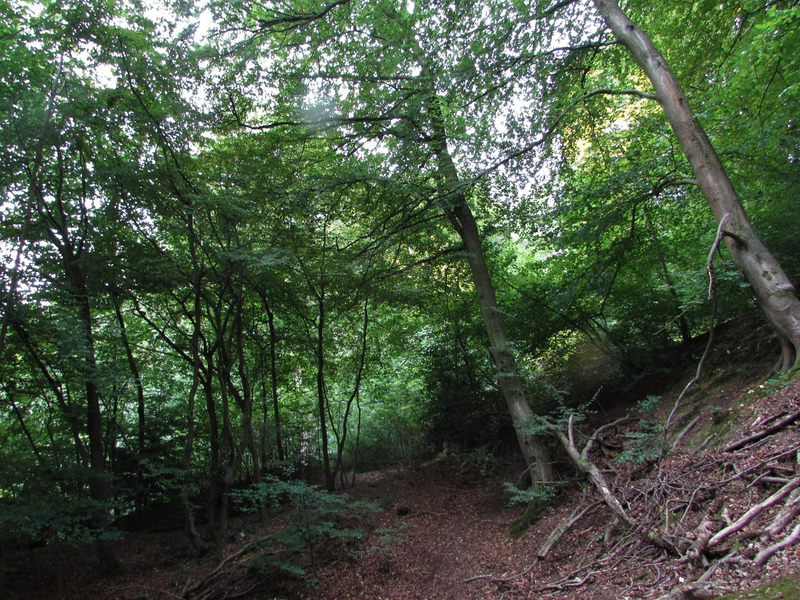 Olive/brown. 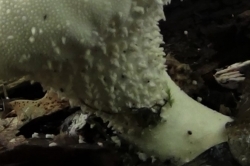 Globose with fine warts. 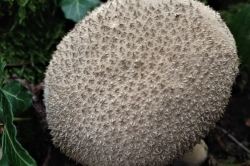 Mild, can be a bit ‘spongy’ in texture. 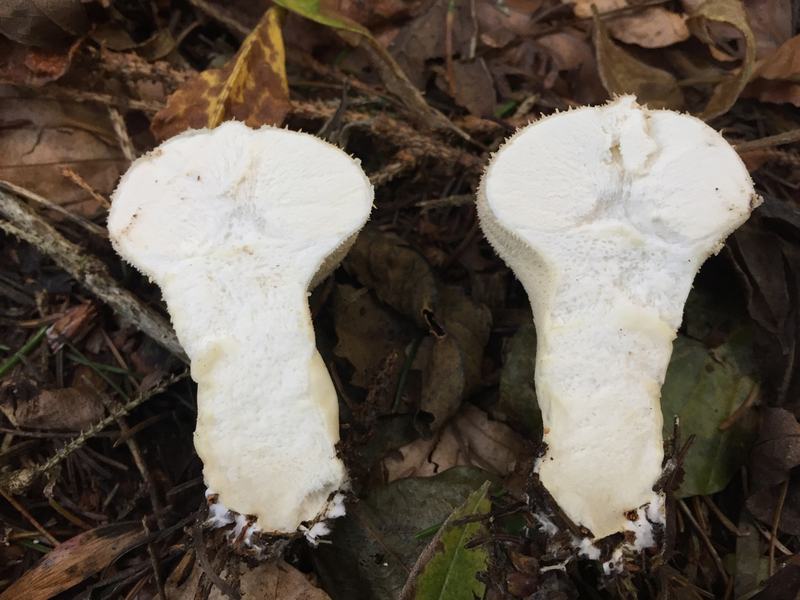 Must be eaten while the flesh is still white throughout. 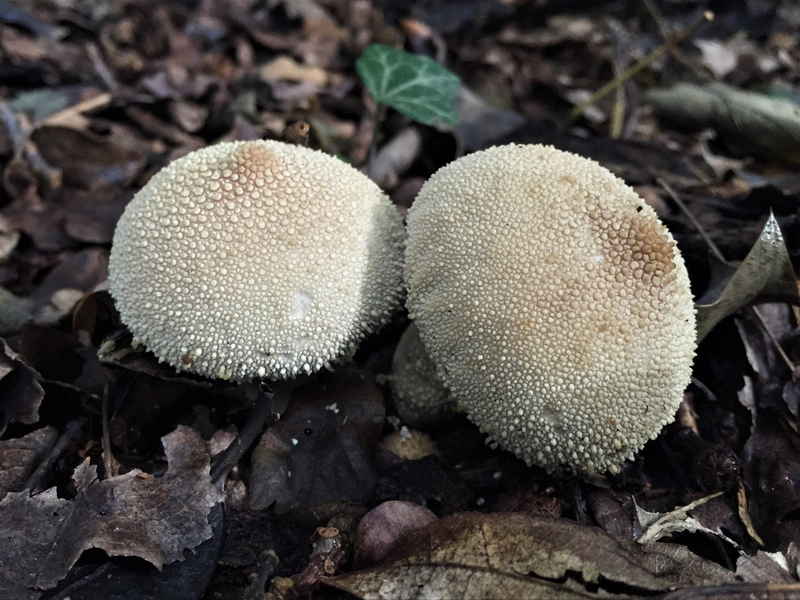 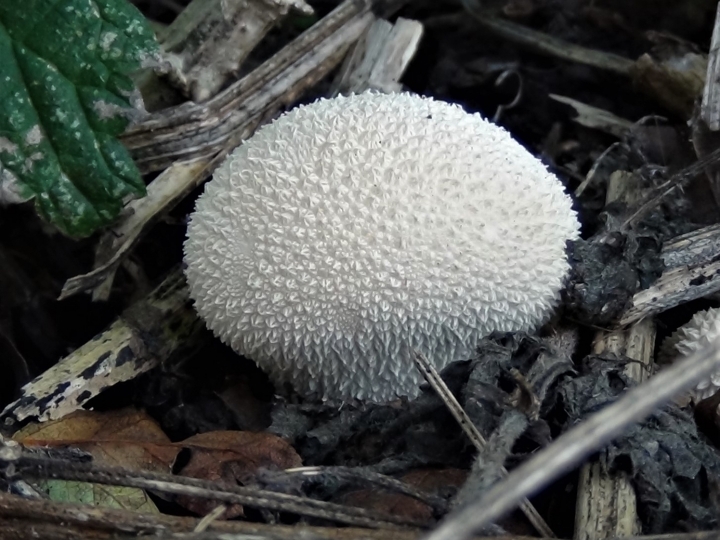 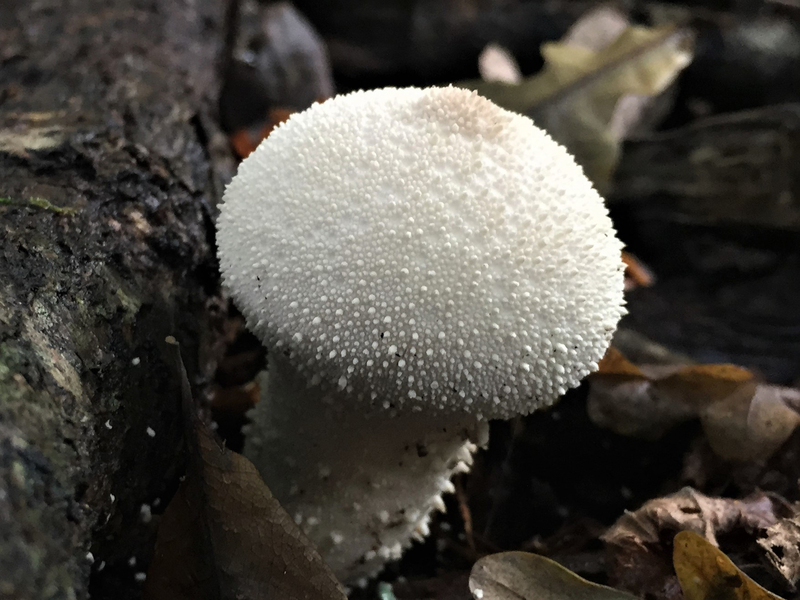 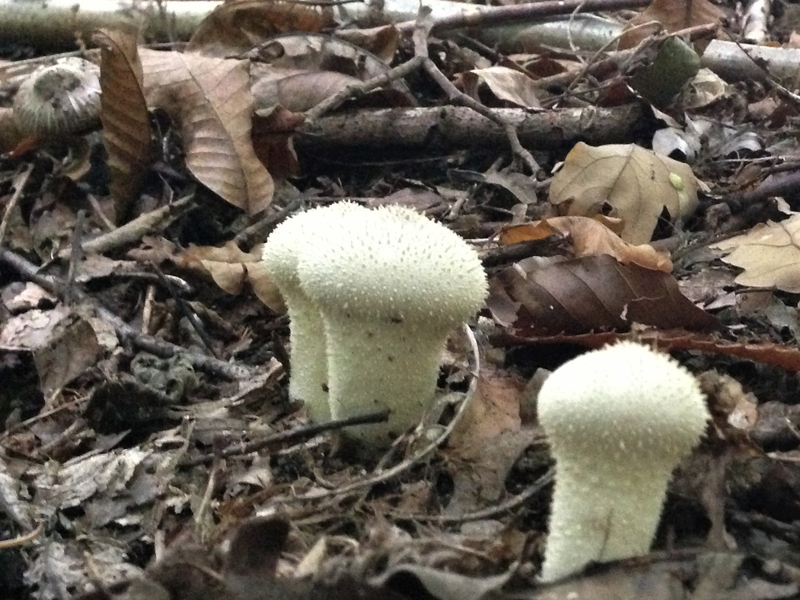 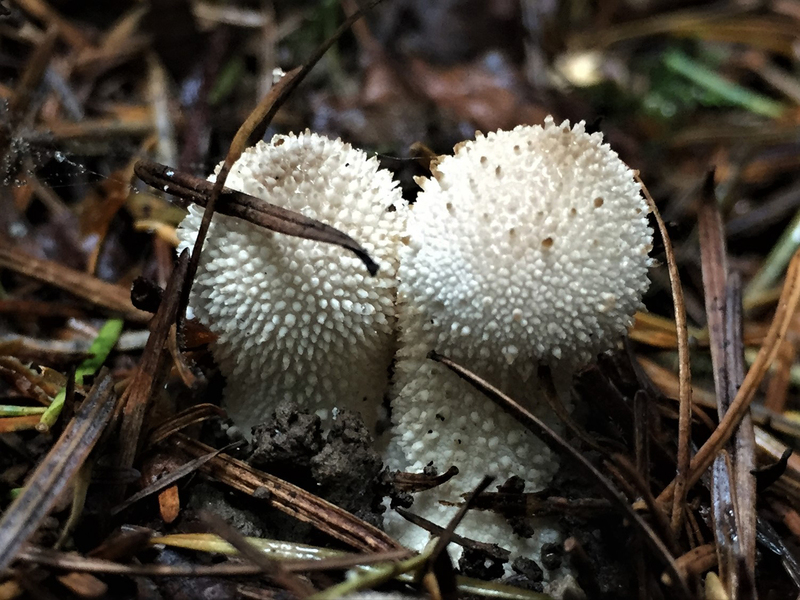 There are various different lycoperdons which look similar and are all edible as long as they are white on the inside and out, but care should be taken to save possible confusion with Scleroderma species. 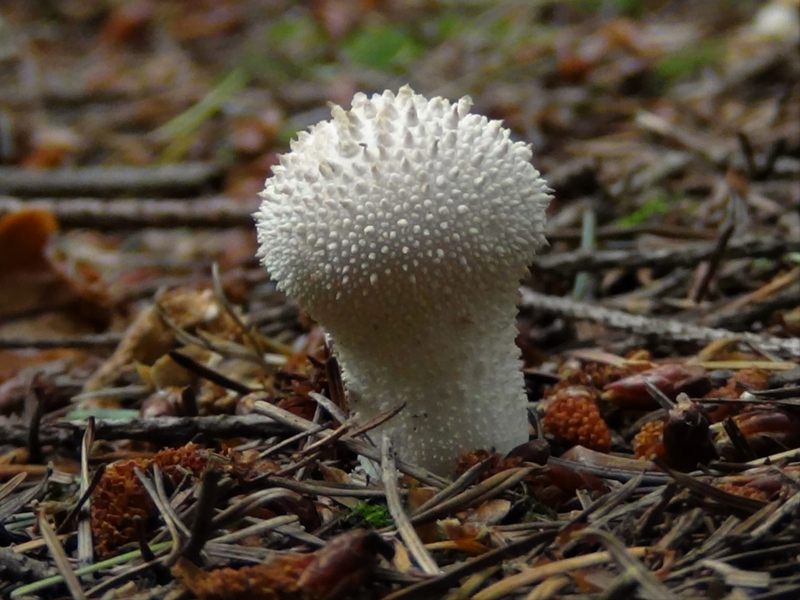 Like the giant puffball the spores can be used as a stiptic so staunch blood flow or ‘puffed’ onto burns to help with the healing. 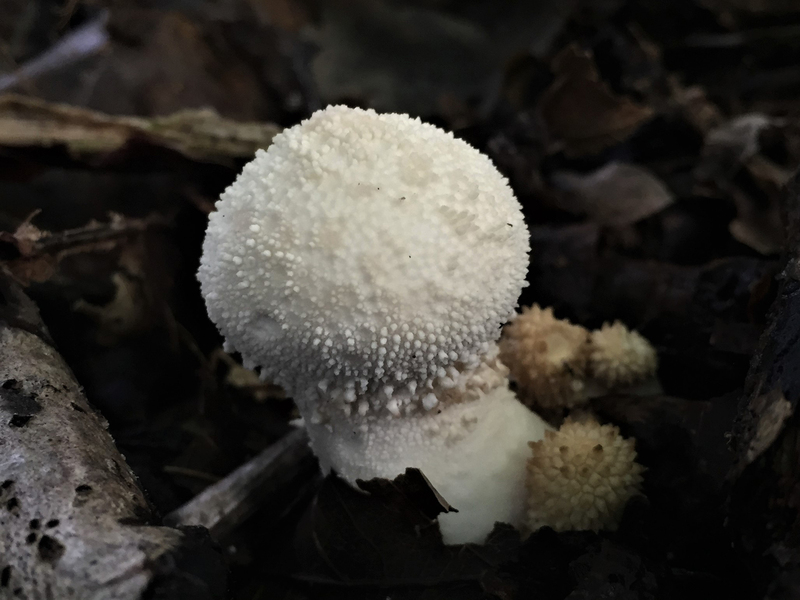 However, if the spores are inhaled they can cause the lung disease Lycoperdonosis, so care should be taken when handling mature specimens.